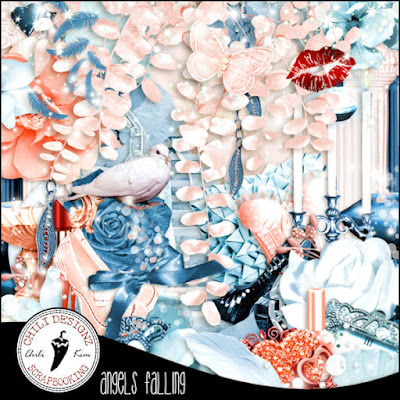 Angels Falling is a gorgeous scrap kit filled with pastels; S&Co Exclusive matching Kit for the beautiful tube Angel 4 by Artist LadyMishka. You can use any tube of choice. I used two gorgeous tubes ©Keith Garvey to create two sample tags. You can get the scrap kit HERE.